I painted this picture a few years ago. 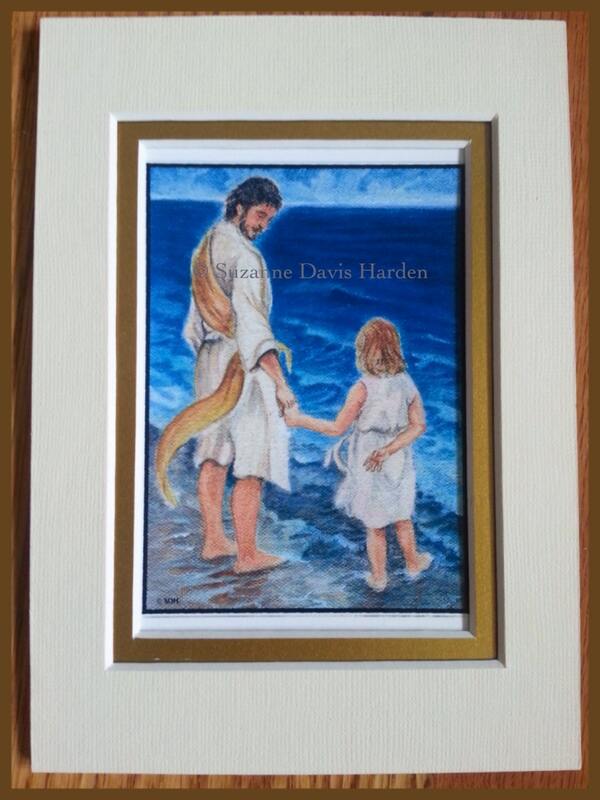 It is one of a series of several paintings I did of Christ and a little child. 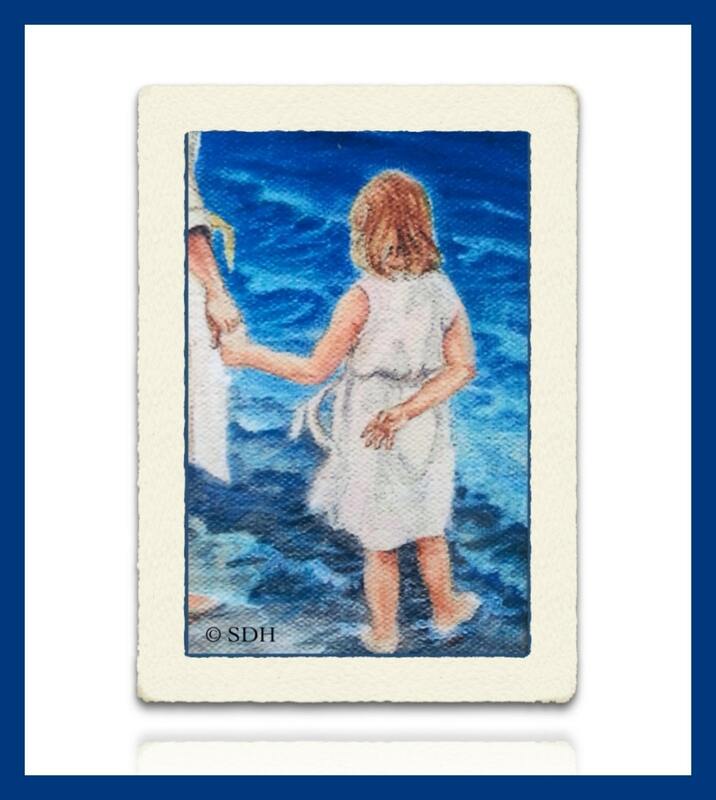 Several of the other paintings from this series appear as prints in my Inspirational Greeting Cards. A version of this painting also appears in my new book, Paths of Peace. 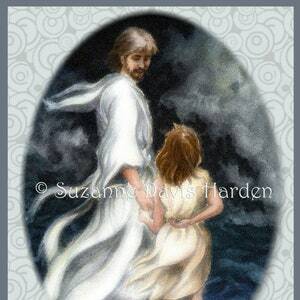 Always the child in each of these paintings has one hand behind her back with the other hand holding onto the Lord's hand. 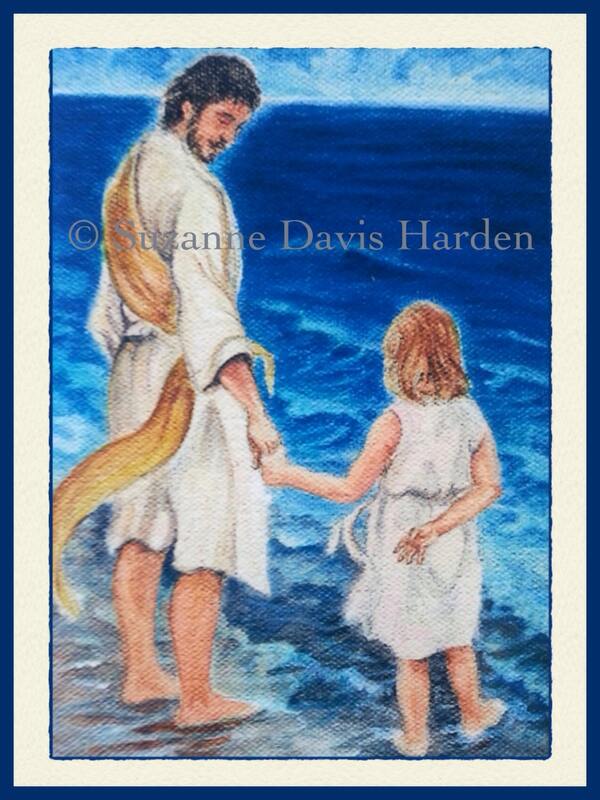 In this painting, the Lord seems to be asking the child to follow Him toward the sea. However, by her posture, her downward glance and that one hand behind her back, she seems very reluctant to follow her Good Shepherd. The only path she sees before her is an endless sea with no horizon. A storm could come up any moment and the sea has no true foothold with its constantly shifting waves. 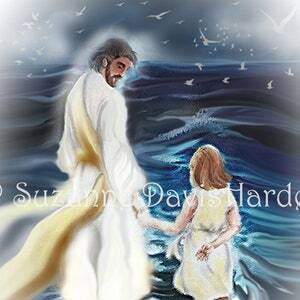 Yet the Lord is asking her to trust Him to walk on the water with Him out into the unknown. He smiles down at her as if to say, "Please trust Me. 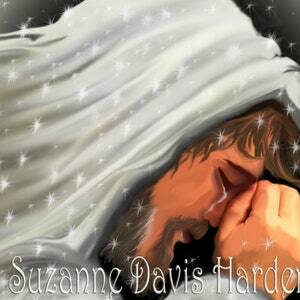 I won't ever leave or forsake you. Have I ever failed you before, My child? My power is very great to help those who believe in Me. Keep your eyes on Me. Please give Me both your hands." 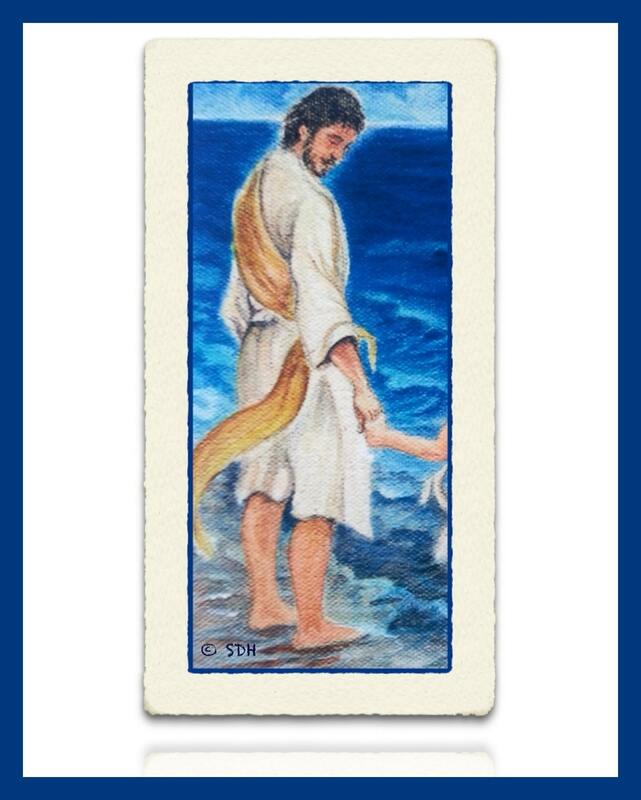 Sometimes the Lord leads us down a murky path where He seems to ask that same question of each of us. "Please give Me both your hands. Please trust Me. 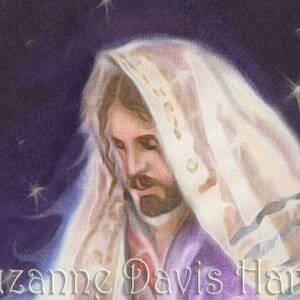 I won't fail you." Please see the photos for more details of this illustration. Photos are watermarked for copyright protection but your print will not be watermarked. Prints are handled with utmost care and securely mailed via USPS PRIORITY MAIL.